Jessica Chase has always done what’s expected of her, including betray the love of her life. But that has never earned her the love of her parents. She’s decided to throw off their superficial values and actually contribute to society. Case Sanderson should be happy; he has his three year old daughter, even though the women he was about to marry turned against him in the paternity suit. But, until he learns to forgive her he can’t seem to put himself back on the market. Case and Jessica must come together to help a refugee in the battered women’s underground. And they have been given the perfect opportunity at a second chance to heal their broken hearts and find love. Jessica closed the flap of a box and stood, rubbing the small of her back with the knuckles of her right hand. With this box her office was officially all packed up. All of her cases had been reassigned to other attorneys, and she was ready for the next phase of her life. A phase she was in complete control of. “What in the hell is this?” A voice thundered from her door. She closed her eyes and took a deep breath. She’d been hoping to be out of the office before he returned. She’d timed her resignation for when he took his month-long vacation every year, so she wouldn’t have to have this confrontation. She’d wanted to be gone before he came back. With two other senior partners she’d been hoping HR didn’t inform him. She turned and faced the man who had helped to destroy her dreams..
She caught the flash of anger and surprise in his eyes before he narrowed them. In twenty-eight years she’d never once talked back to him. She’d always done exactly what he’d told her, never bucking under his or her mother’s plans for her. She wasn’t throwing a fit. She was throwing away a life, a life that was all but destroying her. She didn’t need or want to hear what she knew would be a tirade on her responsibility to him, to her mother, and to the family. Jessica put on her coat and picked up the box. Ignoring the sputtering and yelling coming from her father she walked out the door of the office she’d never wanted or deserved. Just because her great grandfather had started the law firm didn’t mean she shouldn’t have had to prove herself before making junior partner. She guessed she had proved herself years ago when she’d had to let the best thing to ever happen to her walk out the door because of a case. She’d put it aside, because there was nothing she could do about it. She’d seen the anger and hatred in his eyes when Case had walked into her office that day. 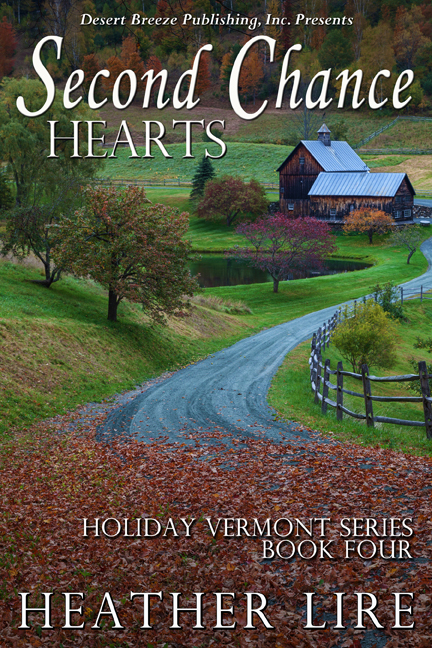 It hadn’t mattered her heart was in pieces on the floor to anyone in the room, as she’d watched the man she’d been planning on spending the rest of her life with and the daughter she’d never get to have, walk out the door. She’d gone home, opened a bottle of wine, and cried deep gut-wrenching tears. Three days later she walked into the Cobble Hill women’s shelter and volunteered her services. If she couldn’t have Case in her life, she could do something that was important to him and his family. It was a move that had changed everything for her. Effective today, she was now the family attorney in residence. For once she was going to be doing something good with the degree she’d gotten because of parental pressure. Heather has traveled all over the world, speaks several languages, collects romance books like they’re going out of style, and has multiple book boyfriends. Ok, she hasn’t been all over the world, except in her mind. She does however speak multiple languages and collect romance books. Her long-suffering husband and sons roll their eyes at all her book boyfriends. When she’s not busy on her next novel she can be found at one of her sons many sporting events or on twitter talking about what else, romance books. She loves to hear what you think about her stories so please drop her a note. 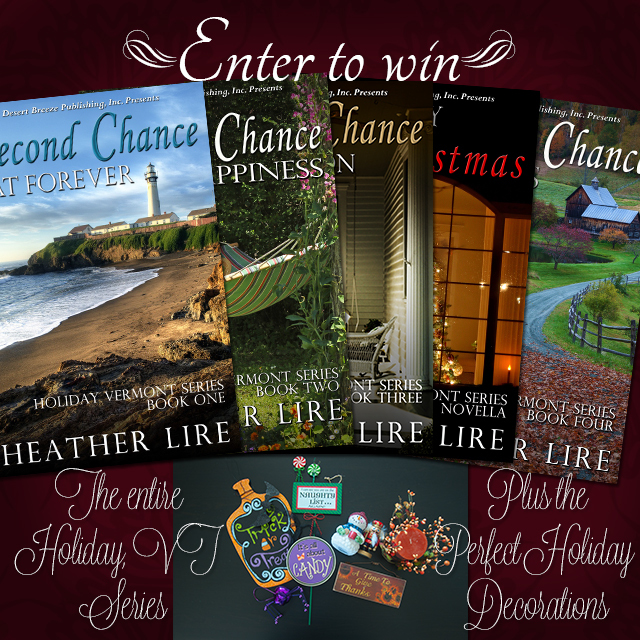 Tour Giveaway – a complete set of the series plus Holiday goodies.